→What Is A Good Time For A 5K Run? Running a 5K race can be an exciting yet challenging experience. If it is your first 5K race, you would be interested to know what a good time for a 5K run is? This is an excellent question that can help you analyze your chances of winning the race. There is no fixed answer since racing times are usually subjective. Here are some winning tips to help you make the right estimate. One of the most important factors to consider when coming up with a good time for a 5K is the age group of those running. Look at the last race and identify the age group of the winners, those who were in the middle and those who came last. Usually, the age of those competing and the times they finished is consistent. You can use this t﻿﻿ool to calculate the best time for the running. As mentioned, time is considered the right time for one person may not be good for someone else. So, one way to give yourself a good gauge is to look at the previous results. This can often be found on the race website. Based on the results, you can give yourself an idea of what is considered a good time in that particular race. The experience level of those competing is yet another important factor to consider. In every 5K race, you will find a variety of runners some experienced, some beginners. Obviously, each runner would take different times to complete the race depending on their experience level. Another important consideration is whether the winner was a male or female. Males and females have different levels of ability. For example, a male may win a 5K run in 13-15 minutes while a female may run in 16-19 minutes. If you are running your first 5k race, it is wise not to get too focused on your time. This will only frustrate you. Instead, enjoy your race and allow yourself room for improvement. In general, finishing in 20-25 minutes is a good time. Whether it is your first 5K run or you are doing it a second time around, there are a few tips that can help you run faster. One of the worst things you could do is slack off in your running after your first 5K run. Consistency is the key to developing your skills as a runner. Whether you are training for a big race or not, always maintain your running routine and run for at least 3 days a week. Remember that cramming for a race is never a good idea. This routine should include using the toilet, so you don’t have to stop anytime during the race. It may also include fueling up with some water and doing warm ups. Some runners like to take a quick jog to help warm their muscles up before the race. Having a pre-race routine will help you become less nervous the next time. Preparation is very important when it comes to becoming a better racer. Before the race, make sure you take a look at the course map and familiarize yourself with the possible challenges. Also, prepare your running gear at least a day before so you don't have to waste time deciding. These runs other fast runs with slower ones to help you get used to running faster. 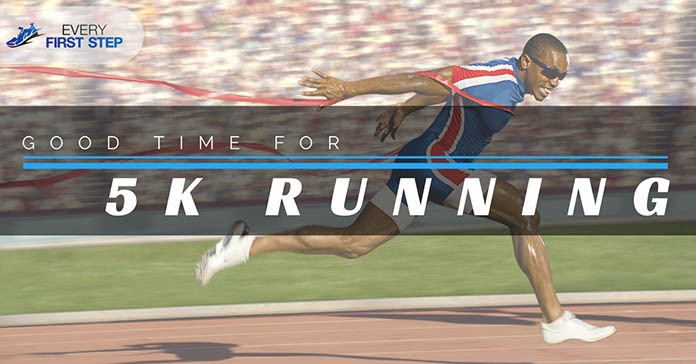 A sample routine is to run for 10 minutes at an average pace and then switch to 15 minutes of high speed running. Being an experienced running doesn’t mean you can now lay back and relax. If you are to continue to make progress, you need to keep pushing yourself. Here are some tips for experienced runners running a 5K run. Improving your skills in running uphill can be a valuable skill. To start, try and do a hill run once a week. You may also alternate easy running with hard running on different kinds of a slope. When doing this, make sure you keep good form and maintain consistency. The faster you train yourself to run, the more improvement you will have. This will greatly enhance your endurance. Try and increase your mileage by at least 10% each week on both your short and long runs. Being able to run with many people will challenge you more and move you to push yourself further. Invite a few running buddies and go for some runs. These may be short or long depending on your preference. After all the preparation, your day finally arrives. How can you make sure you keep your cool especially if it’s your first race? Remember these running day suggestions. Arriving at your first race at the last minute will only make you more nervous. Try and get there at least an hour before the race begins. This way, you will have the chance even to meet other runners and get comfortable with the area. From the gun goes off, keep your eyes on the prize. Cut your race into smaller races by an emphasis on the mile markers as they come. Doing this will help you remain positive throughout the race and not get overwhelmed. Instead of using up all your energy at the beginning of the contest, start slow and finish strong. For the first few miles, run at a pace that allows you to talk. Then, increase for the next miles until you reach the last few miles when you sprint. Passing other runners who have lost their energy in the last phases of the race can be inspiring. Drinking a few sips of water before your race may remove the need for you to stop over during the first few meters. This is an excellent way to gain some time. Instead of stressing over beating someone else’s record in a 5k run, focus on beating your personal record. This will give you more attention, and you will feel a greater sense of accomplishment. Competing against yourself is also a good gauge compared to competing against others with different abilities. During the race, a good way to keep yourself well-grounded is not to want to be in front from the start. Being in the front puts a lot of pressure on you since you set the pace for everyone else. Instead, stay clear of the front and linger in the middle rows. This way, you will still be near enough to overtake in the last few meters. Once you run your first 5K run, make this your personal record and try to beat it the next time. Deciding on your personal best time for a 5K run is the safest way to challenge yourself without feeling too much pressure. Did you enjoy reading this article? What was your best 5K running time? What do you think helped you reach your goal? We'll love to hear your thoughts in the comments below. Also feel free to share this article with anyone you know who is going to a 5K race.